The Greater Richmond School of Music (GRSM) is a comprehensive music school that offers group and private instruction in many areas of study including: voice, woodwinds, brass, strings (including but not limited to violin and guitar), and percussion (including but not limited to piano and drums). Registration is currently being accepted for our 2018-2019 School Year and for Summer 2019. Please visit our Registration page for further information. Registration may be accepted at any time throughout the school year and summer semester, and tuition will be prorated, however, students registering after the start of the semester are subject to music lesson and schedule availability. Note: No lessons shall be provided to any students who are not registered with the school. Register early for the best chance to get a time that works for you! 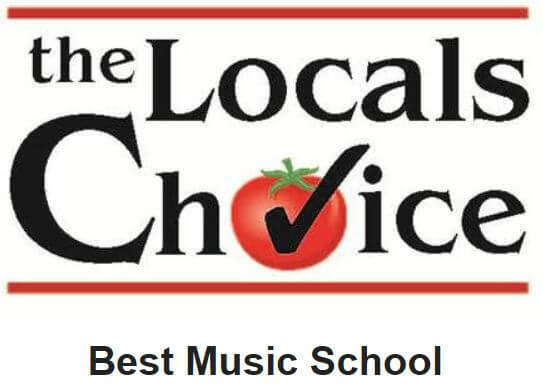 The Greater Richmond School of Music takes great pride in our Faculty. All of our instructors hold Music Degrees which they have received from some of the finest music schools, and have performed with major orchestras, jazz ensembles, and chamber ensembles around the country and abroad. The Greater Richmond School of Music has a number of convenient locations. Mechanicsville lessons and classes are held at our Main Studio at 9109 Dickey Drive, 23116 in the Atlee Crescent Office Village near the intersection of routes 301 & 295. Richmond lessons and classes are held on the Southside at Saint Michael’s Episcopal School at 10510 Hobby Hill Road, 23235 and in the Museum District at Saint Benedict School at 3100 Grove Avenue, 23221. In addition to these locations, GRSM also provides extra-curricular music education at various schools in the Richmond area (including the West End), and there are often lesson slots available to the public after those schools’ students have been scheduled. Please give us a call at 804-442-6158 for more information. Each semester, music recitals are planned for all registered students who are interested in performing. Visitors are always welcome at our recitals! The GRSM Winter 2019 Recitals were held on Sunday, January 27th at St. Matthew’s Episcopal Church, 1101 Forest Ave., Richmond, VA and we were so excited to hear the wonderful performances that we have come to expect from our students! Please visit our YouTube Channel to view our students’ splendid performances in our Winter Recital – January 2019! We would like to thank St. Matthew’s for allowing us the use of their wonderful church once again, as our venue.